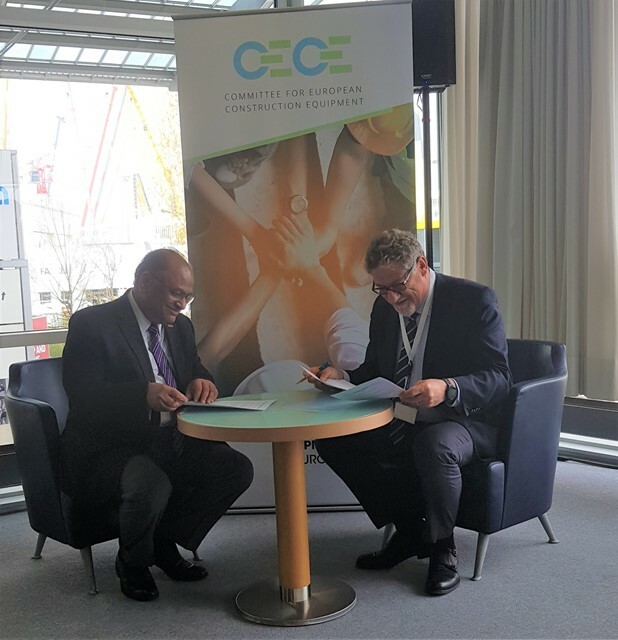 CECE President Enrico Prandini and iCEMA President Arvind Garg have signed today a Memorandum of Understanding to formalise their cooperation during an official signing ceremony at the bauma trade fair in Munich. 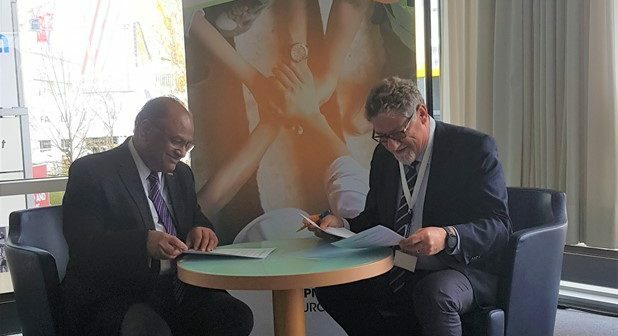 The Memorandum of Understanding sets the terms of understanding between CECE and iCEMA in order to establish bilateral cooperation between the two associations. The main objective of this cooperation is to understand reciprocal market developments and improve the market access and global trade. “We work towards a closer collaboration between the two organisations in the area of regulatory convergence, data exchange and market openness”underlined CECE President Enrico Prandini. He reminded the great importance of the Indian market for CECE members: “European companies provide 24% of construction machinery imports to the Indian market, making Europe the second largest supplier to the Indian sub-continent”. Europe and India are some of the largest markets worldwide. With over 500 million consumers, the European Union is a successfully integrated internal market whose high standards in terms of safety and environment are recognized worldwide. India with its second largest population in the world (1.2 billion) is one of the fastest-growing global economies. Against this background, a mutually reinforcing cooperation between the two construction equipment associations can be beneficial for both markets. The European – Indian partnership is seen as a great opportunity for both markets in terms of guaranteeing a fair competition and free trade. In terms of increased sales, also thanks to the continued investment in infrastructure at state and federal levels. Establishing long-term business relationships based on partnership, trust and mutual learning are key in order to strengthen the ties between the respective construction equipment markets.